After soap was discovered, body odor still posed a major problem for ancient man. Laundry and cleaning, not bathing and hygiene, dominated most soap use in the ancient world. Those who did use soap for bathing didn’t do so on a daily basis. Since they couldn’t completely remove their body odor, masking it seemed like a great idea. In the 4th millennium BCE, Sumerians forged more than the first written languages. Researchers found text depicting a recipe that seems to be a concoction for masking body odor. Ancient Egyptians also deemed skin scenting a priority. They used cinnamon and citrus mixed with a cone of fat to make a sweet smelling unguent that melted slowly in heat, releasing pleasing aromas in the process. From 1550 -1200 BCE, the Mycenaean Greeks peddled perfumes not unlike what we buy at Sephora today. They used crude oils, spices and herbs to brew perfumes packaged in dainty vials. Like modern vendors, they realized how much money they could make from vending these sweet smelling, seductive little packages. 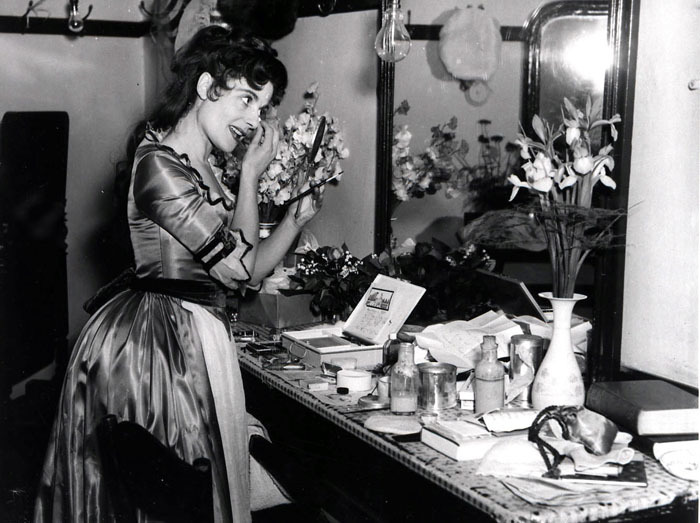 It turns out your signature scent might not be the modern contrivance you thought. All things considered, it’s not very different from the first perfumes concocted thousands of years ago. So much for masking it. Ancient Greeks and Romans put bathing at the center of their culture and even their political structure. And you thought you loved a good bath. Their pioneering efforts lead to many of our modern hygiene practices. The word hygiene itself comes from the Greek “hygeia,” which meant “soundness” or “wholeness.” Its importance is personified in Hygeia, the Greek goddess of health. 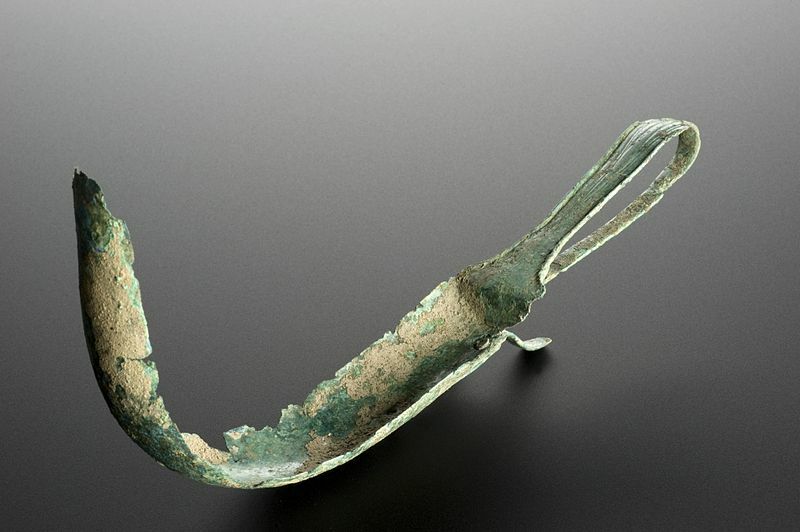 Greeks and Romans typically initiated their cleanliness rituals by scraping the skin with a tool called a strigil. This would remove the surface dirt from their bodies, and the subsequent dips in the baths would wash off the residue. For the Greeks, bath time was more than just a way to get clean. 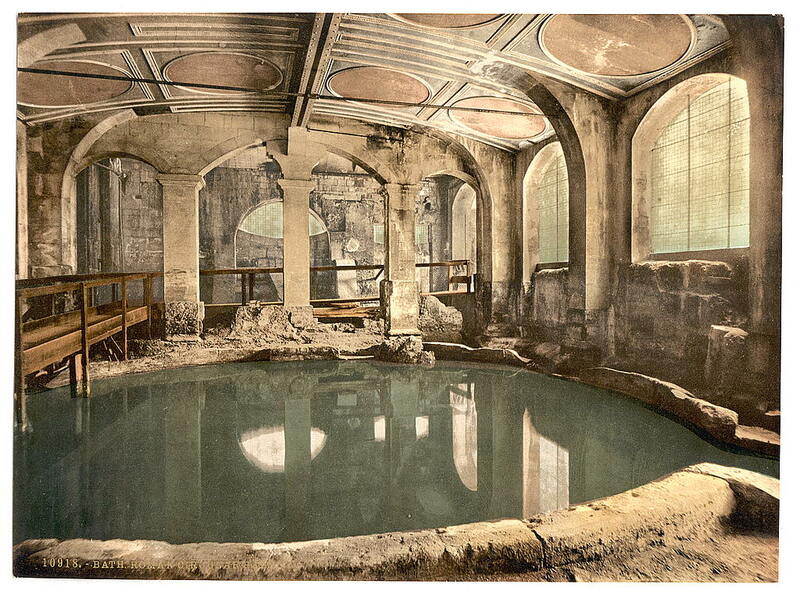 They believed baths bestowed healing properties, especially the steamy ones. Hippocrates himself trumpeted the healing properties of thermal water, a concept the Greeks called balneotherapy. They placed their baths near volcanoes or hot springs to ensure constant access to naturally thermal water. To simply get clean, the Greeks sunk into hip-baths, which submerged bathers only to the hips. They also frequently used sponges and water pitchers to splash themselves clean. Roman Baths and Abbey, Circular Bath, Bath, England. Library of Congress. The Romans took bathing to the next level, building remarkable structures to enable their hygiene and bathing practices. Their famous aqueducts pumped 222 million gallons of water into the city a day. Just like the Greeks, the Romans saw bathing as much more than a way to get clean. Their bathhouses offered areas for reading and relaxation as well as physical exercise. And you would want to spend some time in these bathhouses. Many of them were grand to behold with columns, terracotta bricks and mosaic-tile floors. Even the smallest Roman towns boasted a bathhouse. Going to war? No worries! The Romans constructed pop-up baths so their fighting soldiers could stay clean. Today, most of us only have to take a few steps to hop into our own personal private tubs. In Greco-Roman times, only the wealthiest citizens would flaunt personal bathrooms in their villas. As different as their bathing habits were from ours today, we owe them for having bathtubs and showers as compulsory structures in modern homes. 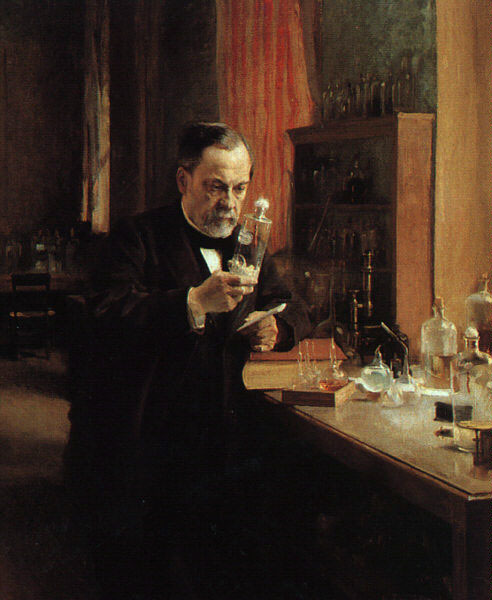 Painting of Louis Pasteur studying germs in his laboratory, 1885. A. Edelfeldt. Early Christians combatted excessive primping, declaring gratuitous focus on one’s outer body as sinful. Nevertheless, the human compulsion towards cleanliness persisted. The Renaissance revived interest in all things beautiful, including the self. Hygiene escaped sinful territory and became standard practice. By the 18th century, the budding middle class considered cleanliness imperative to societal functioning. Although full baths were not a daily occurrence, washing was encouraged along with brushing one’s teeth and the grooming of hair and nails. Secure in its position as a societal necessity, hygiene was eventually transformed by a new scientific discovery into a necessity for health and wellness as well. From 1850-1920, the scientific community buzzed about germ theory. The theory stated that microscopic organisms (nicknamed germs) enter your body unseen to cause disease. On an even more chilling note, the theory stated that these “germs” could spread through contact with other people. Proper hygiene proved an enemy to these new germs. For example, Joseph Lister’s studies directly attributed postoperative deaths in hospitals to poor cleanliness. Suddenly, doctors saw sanitation as key to stopping contagion and the importance of cleanliness was elevated in the public eye. How important is hygiene? Today, an estimated 2.4 million deaths globally could be avoided with clean water, sanitation and proper hygiene. The United States became a hub for soap marketing in the 1800s. The Civil War transformed soap from a make-at-home product into a manufactured commodity. With men off at war, women found themselves with more household responsibilities and far less time for chores like soap-making. Luckily, manufactured alternatives filled their needs. Furthermore, soldiers endowed with manufactured soap during the war came home with a taste for finer soaps. Just like that, manufactured soap went from luxury good to hot commodity. Soap companies strove to water the germinating seeds of the consumer soap industry. They began crafting individual, artistically branded packages and stopped selling generic bulk to general stores. 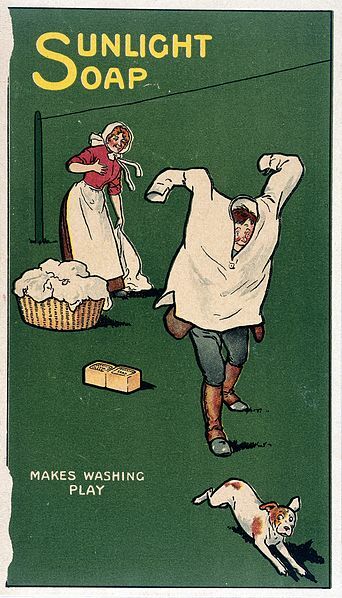 By the 1870s, newspapers, posters and flyers became flooded with soap advertisements. Some of the first soap advertisers, like P&G, Lever Brothers and Ivory, maintain a roaring business to this day. Today, you’d be hard pressed to find a friendly face with a go-to recipe for homemade soap. Manufactured bar soap seems as natural to us as oxygen. We have war, and advertising, to thank for that. The next time you wander into the Health & Beauty aisle at Target, take a look around. Those refined pumice stones and bathing sponges hang there because our Bronze Age ancestors once dared to be inventive with natural resources. And thank your lucky stars for the hundreds of packaged razors available; you might have been forced to use volcanic glass if you’d been born in another time. Think of the years of history that went into making your perfectly perfumed bar of soap, your deodorant that actually keeps odors off and even your squeaky clean bath tub. If that doesn’t impress you, think of how grateful ancient man would be for that little stick of deodorant. It definitely beats a hunk of scented fat. 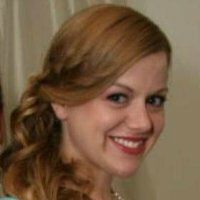 Author: Ashley Bell is a full time nonprofit outreach and program manager and part time history detective. She likes to look to the past to explain where we are today. “An uncommon history of common things”, National Geographic Society, 2009. Retrieved from http://public.credoreference.com/content/entry/ngeouc/hygiene/0. Smith, Virginia, “Clean: A History of Personal Hygiene and Purity”, Oxford University Press; 1 edition (August 15, 2008), Pg. 12, 13, 47-50, 126 – 140, 226. “Roman Public Health”, BBC. Retrieved from http://www.bbc.co.uk/schools/gcsebitesize/history/shp/ancient/romanpublichealthrev3.shtml. Cartwright, Mark, “Roman Baths”, Ancient History Encyclopedia, 2013. Retrieved from http://www.ancient.eu/Roman_Baths/. Reynolds. “Discovery of Germs”, University of Arizona. Retrieved from http://learnaboutgerms.arizona.edu/discovery_of_germs.htm. Bartram J; Cairncross S, “Hygiene, Sanitation, and Water: Forgotten Foundations of Health”. PLoS Medicine, 2010. Retrieved from http://journals.plos.org/plosmedicine/article?id=10.1371/journal.pmed.1000367. “Germ Theory”, Harvard University Library: Open Collections Program. Retrieved from http://ocp.hul.harvard.edu/contagion/germtheory.html. “History of Soap and Interesting Facts”, Soap History. Retrieved from http://www.soaphistory.net/. This entry was posted in Anatomy and Physiology, Beauty, Biology, Blog, Culture, Fashion, Healing Arts, Science and Technology and tagged ancient germs, ancient history, ancient hygiene, ancient makeup, ancient soap, AntiquityNOW, Hygeia, Roman baths. Bookmark the permalink.